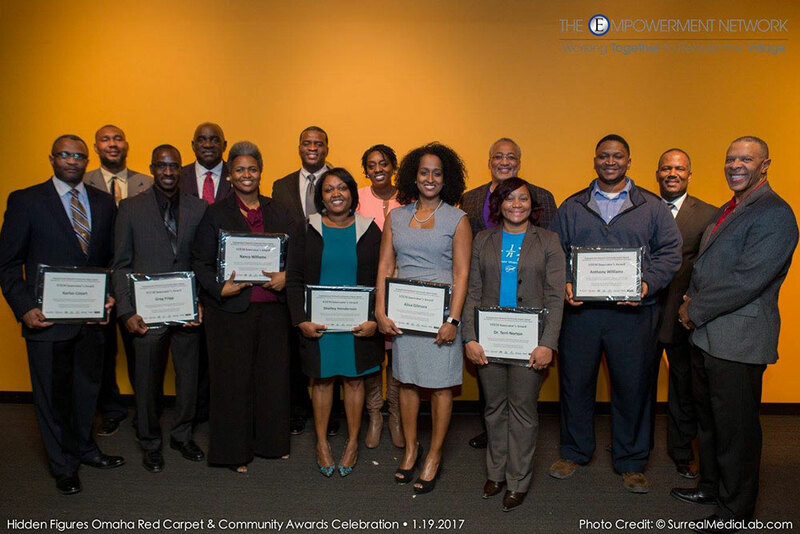 The Empowerment Network honored 12 African-American educators and mentors in Omaha for their work with youth in STEM fields. 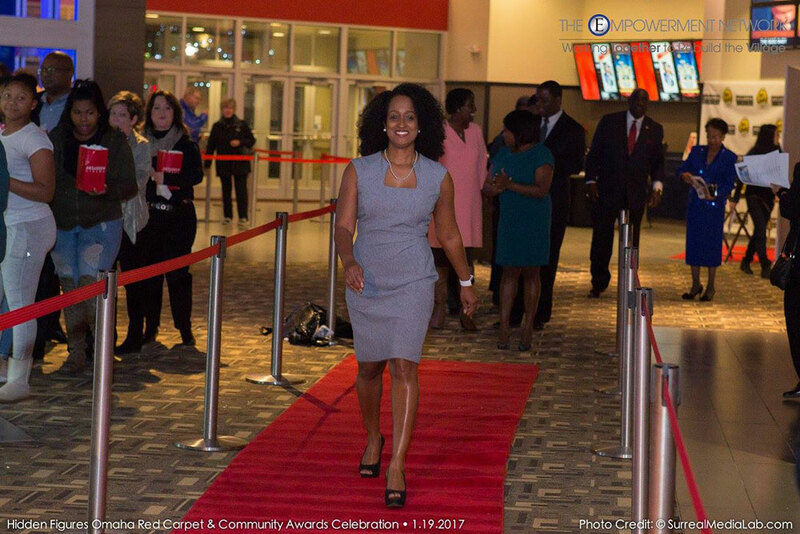 Alisa Gilmore, associate professor of practice in electrical and computer engineering, walks the red carpet at Aksarben Cinema before the Jan. 19 screening of "Hidden Figures." 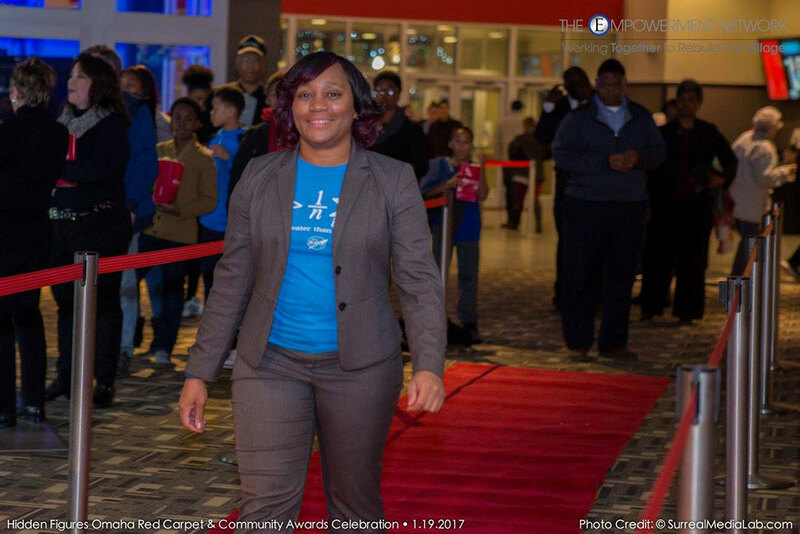 Terri Norton, associate professor of construction engineering, walks the red carpet at Aksarben Cinema before the Jan. 19 screening of "Hidden Figures." Walking the red carpet at the Jan. 19 event are Alisa Gilmore (left), associate professor of practice in electrical and computer engineering, and Terri Norton, associate professor of construction engineering. Two Nebraska Engineering faculty were among 12 African-American educators and mentors in Omaha honored January 19 by the Empowerment Network for contributions to the community through work with youth in STEM (science, technology, engineering and mathematics) fields. Terri Norton, associate professor of construction engineering, and Alisa Gilmore, associate professor of practice in electrical and computer engineering, were presented Innovator Awards. The past four summers, Norton has hosted Pink Hard Hat Days, where high school age girls are introduced to careers in the construction and engineering fields. The three-day camps connect students to female industry professionals and provides them with hands-on activities in engineering and design. Gilmore is coordinator of the Nebraska Robotics Expo, which brings together nearly hundreds of K-12 students and teachers from Nebraska for robotics competitions and connects them with educational opportunities and clubs in STEM fields. Both Norton and Gilmore said their work in the STEM fields was inspired by mentors and role models as they were growing up. "It was family who encouraged me to consider engineering, and my college experiences solidified my desire to pursue it. As a student at Spelman College (a historically black women's college), an AT&T Bell Labs scholar intern, and a student at Georgia Tech, I was exposed to many people from whom I drew inspiration, and support, and gained valuable exposure," Gilmore said. "Without these experiences, I might would not be where I am. "Through the Expo, it gives me joy to give back and provide hundreds of students the opportunity to become inspired while gaining exposure to work in STEM. Seeing young people become excited about robotics and STEM fields makes all the work worthwhile." Gaining STEM experience in TRIO programs like Upward Bound and the Ronald E. McNair Post-baccalaureate Achievement Program helped Norton and her twin sister become aerospace engineers and inspired a desire to pay that experience forward. "Unfortunately, because we were from a low-income home, our parents couldn't provide all the opportunities that other kids had, but they connected us to programs that would allow us to excel in STEM fields," Norton said. "Through those programs, we had opportunities to be on college campuses, to do research in college labs, and see what was possible for us. If I can say I've impacted at least one student (at Pink Hard Hat Days), I count that as a success." The ceremony, which also celebrated National Mentoring Month, included a special screening of the Academy Award-nominated film "Hidden Figures," the story of three African-American women whose work in mathematics, engineering and computers helped NASA send its first astronauts into orbit in the early 1960s. Norton said the movie reminded her of childhood days when she and her twin sister dreamed they could communicate with beings in space through a broken-down TV and makeshift antennas. 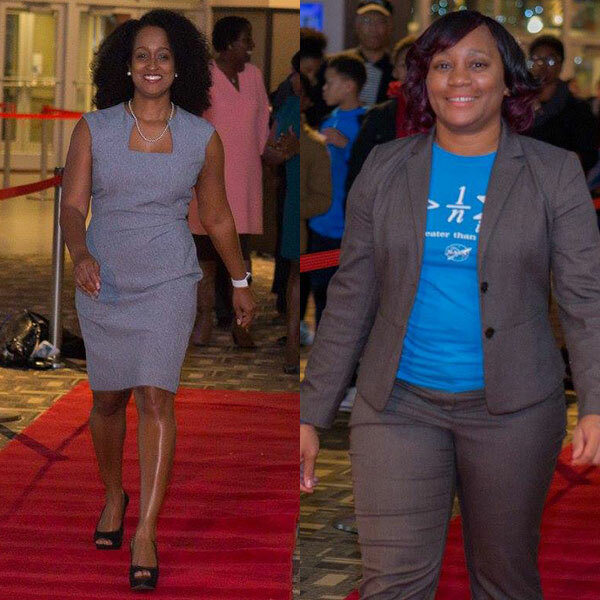 Seeing the story of the three women from "Hidden Figures," both Gilmore and Norton said, served as an inspiration, but helping the next generations through STEM outreach has always been most important. "Research is showing that kids, and especially girls, make up their minds early that they can do something challenging like pursue a STEM career," Gilmore said. "If we can get them to the Robotics Expo, and put them in an environment that is fun – sometimes we get up to 800 kids and teachers – then we're making an impact that would not have been felt otherwise." Norton said she's hoping she can keep that dream alive for young people, especially girls who might want to pursue either engineering or construction careers. "You rarely see women in engineering, particularly in the construction fields, so it's important that somebody be a bridge to help others pursue those careers," Norton said. "It's very rewarding, and when I hear that the camp's alumni are studying in STEM fields, that makes me feel like I'm doing something right."